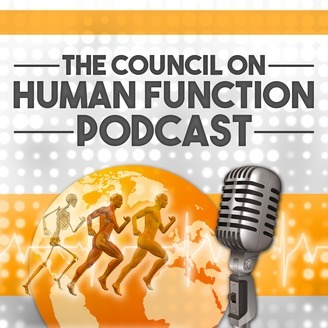 The Council On Human Function; A legendary team of experts from 7 different health professions coming together from 6 different countries, 4 different continents, and synergizing a huge array of skills, experience, and including more than 29 different specialities. All zeroed in on one mission, providing you the health pro with the clinical knowledge you need to obtain results and maximize success. Mission of the show: Demonstrate analysis and correction strategies for optimal human function, generating cross professional understanding of methods for improving patient results, and creating collaboration opportunities among health care professionals. Premise of show: A case presentation will be provided. Each professional will give a quick explanation of what he/she would specifically be analyzing/evaluating for. then explain the most appropriate correction strategy based on the most likely findings. There should be one Main Take Away that the listeners can immediately implement with their patients/clients. Objective: Help health care professionals see different correction strategies from other angles and professions. Increasing their clinical knowledge and ability to help patients based on the learning from these case presentations. To engage inter professional collaborations, and acceptance to give the patients the best possibility for health. 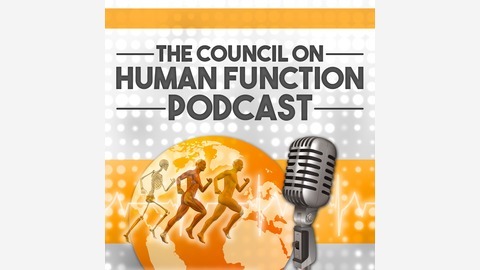 COHF 061: Triathlete experiencing Achilles pain.